Wrapped and sewn with off-white European wool and nylon blended yarns, these mallets offer both durability and minimal contact noise. This set works well for solo marimba repertoire in the mid to upper range and have a rich, yet staccato attack. 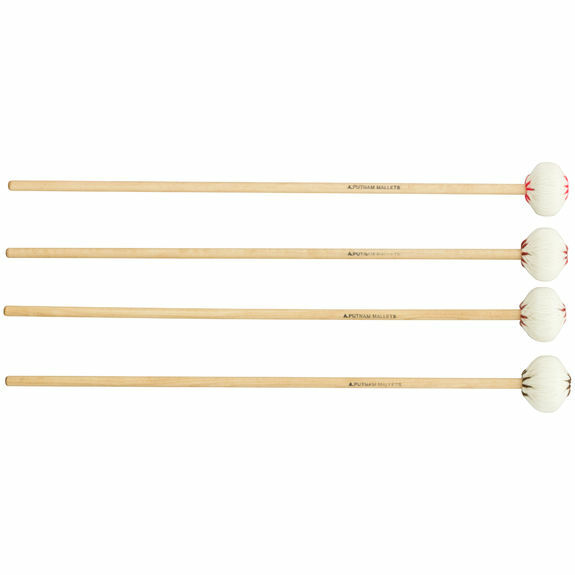 This set of A. Putnam mallets is very articulate and I love the set up. You must always keep it in this particular arrangement to get the most accurate sound. 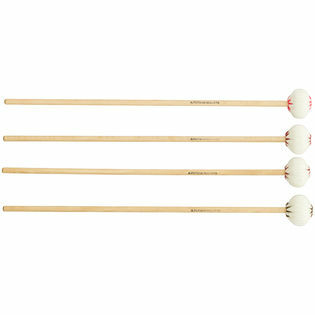 It's also perfect for two mallet playing when you use the two mallets in the center.